I’m always surprised when people compare my books to those by other authors. Not because I think I’m so dazzlingly original (in fact, when I go into schools, my answer to that question “But how do you get ideas?” is usually “I get ideas because over the years I’ve read a lot of books!”) but because the comparisons aren’t usually the authors or books I would have thought of. So when somebody mentioned to me that Wild Thing reminded them of Dorothy Hughes’s classic My Naughty Little Sister stories, first I was surprised, then I thought it was time to dig out a copy and see for myself. My Naughty Little Sister was first written for BBC Radio’s Children Hour. Perhaps this is why they are such wonderful read-alouds. I’ve heard some adults claim that the strong narrative voice is rather too cosy ("And what do you think My Naughty Little Sister did next...") and therefore annoying. Personally, I think this is what makes the stories so perfect for young children, guiding them through the stories (I’d recommend My Naughty Little Sister as a first read-aloud when moving onto chapter books). But then I do like a strong narrative voice (the Narnia books are another example where some find the narrator intrusive, but I find it confiding, and entertaining). I’m also envious, not only of the apparent safety of that long ago time, but also the freedom it gives a writer to give her child character adventures. My Naughty Little Sister is only four, but she can go on a train ride all by herself (with only the guard to keep an occasional eye on her). She can also travel from home under her own steam, and at one point is sent spontaneously to spend a day with her older sister at school. How much harder to construct real-life adventures now that young children always have to be supervised! Most all, though, the charm of the stories is in the character of My Naughty Little Sister herself. The stories may feel old fashioned, but they are never preachy or moralistic. My Naughty Little Sister thinks for herself. If the family has to look after a baby for the day, she really doesn’t see why she should pretend to like babies, just because it’s the done thing. And she makes friends with all kinds of unlikely people, grown up or child, because she responds to them honestly and directly. Her character, I think, is brilliantly portrayed in the illustrations by Shirley Hughes. So, even if I still don’t get the comparison with my own books, I certainly feel the compliment! And if you’re looking to escape into a young child’s world, in a gentler, cosier time, I’d recommend My Naughty Little Sister. 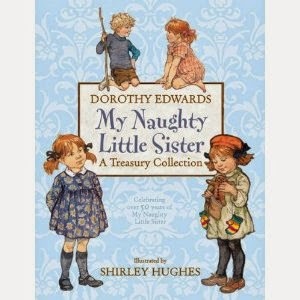 I loved the naughty little sister books as a child, especially because I had a naughty little sister myself who did very many of the same things as the one in the books! The settings may be old-fashioned but the sibling relationships in the books are still real and relevant today. Yes, as you say, the settings change but the relationships remain the same! 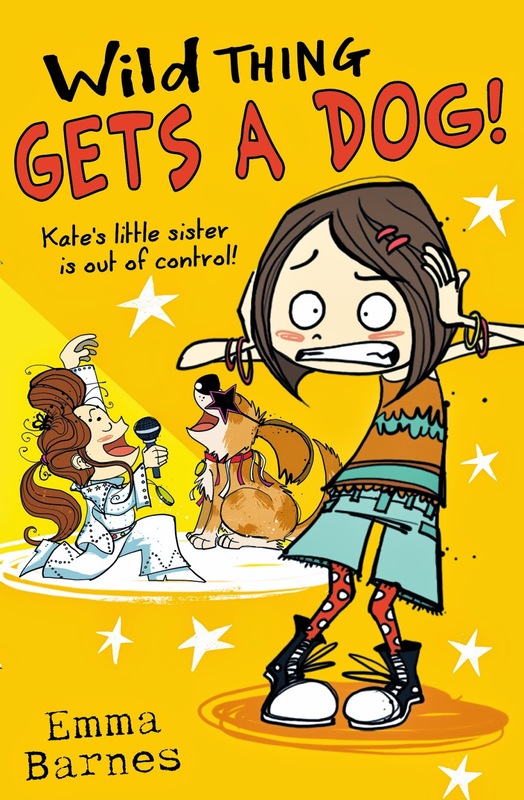 Coming to this a bit late (I've been away) but I also thought of My Naughty Little Sister when I read Wild Thing - something about the directness of the little sister character and the way her literalness cuts through 'grown-up' conventions - and the humour. I always remember my naughty little sister trying to grow bigger by planting her feet in the garden and watering herself, like a plant...!